It may seem like you’re hearing more about visitors and travel insurance these days, and with more and more travelers hitting the road and journeying overseas, you may hear more stories about travelers stuck in impossible situations. 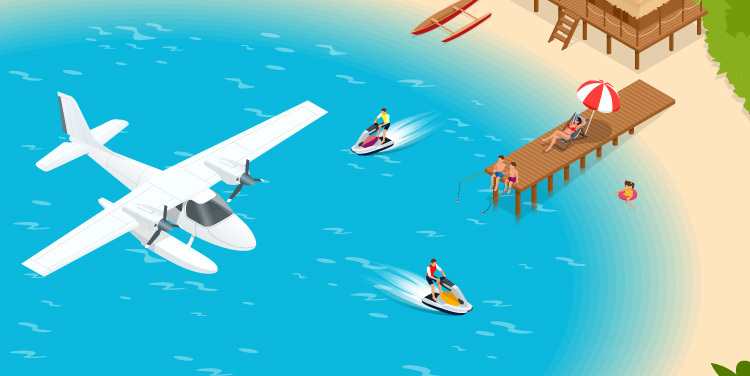 Experts continually recommend travel insurance or travel medical insurance, but what’s the difference between the two and how do you choose? The term ‘travel insurance’ describes a particular type of insurance product that protects people when they travel. Visitors Insurance, also known as travel medical insurance or travel health insurance, is a type of travel insurance. The broader term ‘travel insurance’ refers to trip insurance plans that include coverage for trip cancellation, interruption, evacuation, medical, travel assistance, and more. A typical travel insurance plan may include coverage for trip cancellation and trip interruption, baggage loss, and trip delay, while most travel medical plans only provide little or no coverage for these. The reason for the trip cancellation must be covered by the travel insurance plan. If it is, the travel insurance company will reimburse the traveler for their pre-paid travel costs such as airline tickets, hotel reservations, and more. What visitors insurance covers usually includes benefits related to new injuries or illnesses that occur during the trip. When a traveler is sick or injured outside their health insurance network, they face the risk of extremely high medical bills that must be paid upfront and out-of-pocket. Travel medical coverage protects the traveler from that risk by either reimbursing the traveler for their medical costs or by paying the hospital directly. Which Type of Insurance Do You Choose? If your trip involves a lot of up front payments, as with a cruise for example, you will want to buy a travel insurance plan with good coverage for cancellations and interruptions. This will assure that all of your prepaid expenses are reimbursed, should there be an emergency. You will also need travel medical and evacuation coverage to protect yourself from the costs associated with medical care on the cruise ship or a severe injury or illness that requires hospitalization. Most travel medical insurance plans cover both your trip cancellation costs as well as your travel medical costs, but you’ll need to carefully review the plan to be sure. If your trip is to spend time with family, involves adventurous sports activities or health risks, you can buy travel medical insurance instead because your travel risks are primarily associated with getting injured or becoming ill outside of your health insurance network. If you get into a car accident in a foreign country, for example, and are taken to the hospital, without travel medical insurance you will have to pay for the medical care and ambulance fees out of your own pocket, which can be very expensive. Travel medical plans can cover these risks at a low premium cost. 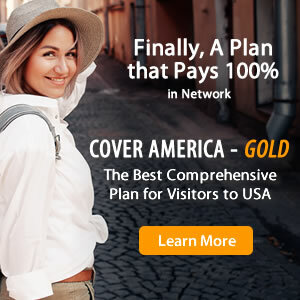 VisitorsCoverage has a wide variety of plan options to fit every traveler’s unique needs.